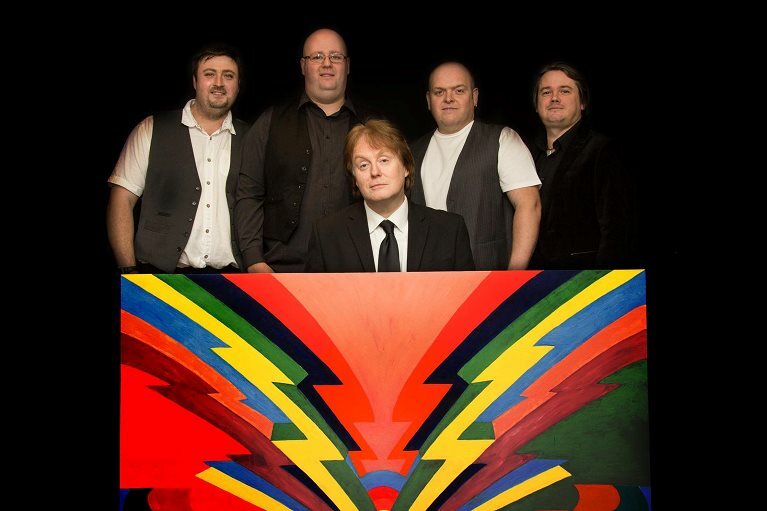 Wingsbanned are the UK's premier Paul McCartney Tribute Act covering all era's from Beatlemania to his recent "Out There" tour. The vast range of music produced by McCartney from ballads to screaming rockers, from pop masterpieces to classical works requires incredible versatility and Wingsbanned specialises in reproducing every sight and sound. The band is made up of 5 multi instrumentalist musicians with many years of experience between them. They recreate all of McCartney's hit's with absolute accuracy, playing them in their original written key. ​Wingsbanned can play venues of all sizes from small clubs to out-door arenas. In one week the band will play the Diamond Club in Nottingham before preparing for the Mons Festival in Belgium. ​Johnny Heywood recreates McCartney young and old, from Yesterday to Long Tall Sally, Monkberry to My Love, New to The Frog Chorus (perhaps not) playing bass, guitar, piano and sings all songs in their original keys cursing McCartney who refuses to tune down even today! ​Lee Herbert has been drumming for over 20 years and can sing too, hitting notes that only a dog can hear whilst simultaneously keeping metronomic rhythm! More Abe Laboriel than Ringo in style, Lee feels happiest when he‘s hitting things. ​Shane Gould is not allowed near a microphone as hisvoice scares children. However, the sweetness and light that he paints on his electronic keyboard palette more than makes up for this. He recreates the orchestral parts required on songs whether rock organ or string quartet banging a mean tambourine on songs not requiring ivory tinkling. ​Gareth Davies ’ obscene collection of guitars is used to excellent advantage in Wingsbanned. Originally a Django fan Gareth was persuaded to abandon his jazz leanings towards a simpler beat and the promise of glamorous gigs/exotic women. Despite this misled naivety, Gareth has proven a dynamic addition and a whirlwind stage performer. He has a certificate to prove it.